Full disclosure: One complimentary copy of Totally Together: Shortcuts to an Organized Life was provided to me by Stephanie O’Dea. The copies for the giveaway were purchased by me. This is an uncompensated review. Opinions expressed here are strictly my own. Stephanie O’Dea is one of the most talented, inspiring, and yet down-to-earth folks I know. Long before she became one of my very good friends, I loved the gluten-free recipes she shared on her now famous blog, A Year of Slow Cooking. As most of you know, Steph launched her blog back in 2008 with the commitment to make a recipe in her slow cooker every day for a year. 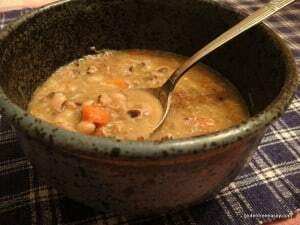 She shared the recipe and her results with a photo and “The Verdict.” Although Steph doesn’t make a recipe in her slow cooker daily any more, she still shares a lot of recipes on her slow cooking blog. Steph will be the first to tell you that she relies on her slow cookers (yes, plural!) as a way to simplify her life and provide meals and desserts that run from frugally delicious to divine. She also still delivers “The Verdict” for all her recipes. Steph comes up with some really great recipes (her comments attest to that), but every now and then she comes up with a dud. I love that she still shares these recipes … with repeated warnings. Most recently, she shared her “Fail” on Pineapple Salmon. It’s reassuring to know that even kitchen gurus like Steph have fails. This month, for my adoption of Stephanie for Sea’s (Book of Yum) Adopt A Gluten-Free Blogger event, I made Steph’s Brown Sugar Chicken. Served over basmati rice with some of the heavenly sauce ladled over both the chicken and the rice, this dish was very good. Eaten cold right out of the refrigerator the next morning, for breakfast, lunch, for dinner … whatever … this dish is nirvana. Seriously. I will make this recipe again and again just so I can eat it cold. Mr. GFE can have his served hot, but I’m eating mine cold. Maybe I’ll have another Lemon Drop Martini with it, too. (For dinner, of course.) The two seemed to be a winning combination. I’ve written about Steph and her recipes before, here and here. The truth is I’ve made so many recipes of Steph’s over the years, I don’t remember them all (and I don’t have photos of many). Some were from Steph’s blog and others have been from her two cookbooks, the New York Times bestseller, Make It Fast, Cook It Slow, and her follow-up, budget-friendly slow cooker cookbook, More Make It Fast, Cook It Slow. All of Steph’s recipes have been winners and here are a few from her slow cooking blog that I recommend wholeheartedly! Another gluten-free friend and her family love Steph’s Pizza Soup. As soon as the weather cools off, I’ll be giving that one a try for sure. Steph’s second blogging venture is Totally Together Journal—“an organizational site for the busy household.” Released just this week, her “companion” book, Totally Together: Shortcuts to An Organized Life, is a compact, daily journal that offers exactly what it says. In the making for several years, this book is designed to make “you feel better—more in control, calm, and at peace when at home.” There are daily, weekly, monthly, and seasonal checklists and tips. Meal planning is covered, with a ready-to-go grocery list and a chart. Inspirational quotes, easy recipes, and simple craft ideas are interspersed throughout. Stephanie just shared some of her organizational ideas in this article at the Huffington Post. Wendy’s (Celiacs in the House) comment on that article summarizes the best of Stephanie and her book. Totally Together: Shortcuts to an Organized Life can help you reach your own daily goals with ease and grace. Here are some other reviews (and some giveaways) of Totally Together. I’m giving away five copies of Steph’s new book, Totally Together: Shortcuts to an Organized Life. The giveaway ends Friday, August 12, at midnight, Eastern. Leave a comment sharing a favorite recipe of Stephanie’s from A Year of Slow Cooking, share benefits of being a Totally Together Journal reader, or just state why you’d like to win Steph’s new book. ~ Subscribe to gfe via reader or email. Leave a comment. ~ Follow gfe on Twitter. Leave a comment. ~ Like gfe on Facebook. Leave a comment. ~ Subscribe to Totally Together Journal and/or A Year of Slow Cooking. Leave a comment. ~ Follow Steph on Twitter. Leave a comment. ~ Tweet about the giveaway. Leave a comment. ~ Share the giveaway on Facebook. Leave a comment. Great adoption! So I have been totally eyeing this book ever since I first heard about it, and now am going to enter the giveaway. I think I need this book/organizer because staying on top of household chores is definitely my biggest challenge – sure, the kitchen is always clean and i pack great lunchboxes, but much to my husband’s chagrin, I rarely fold my laundry. I subscribe to Totally Together Journal. I love Stephanie’s Slow Cooking site and have both of her books. I’m not sure that I can pick a favorite recipe, because I’ve made so many that my family loves! It is my go to book for meal planning 🙂 I love organizational books and I admire Stephanie’s determination to get it published. I’d be thrilled to win a copy! I subscribe to totally together journal and a year of slow cooking by email. I love Stephanie and her cookbooks. She is a great tole model for all us moms out there and has the best sense of humor!! I follow gfe on Facebook and am thrilled with this new resource. I’m in the process of “starting over” with my second husband after being widowed 4 years ago. The older you are the harder it is to start over … but it’s oh, so worth it 🙂 Anything to help with the organizing of our daily lives would be a huge blessing! m.
I have an addiction to cookbooks..I would love to add this one to my collection..
Aweseome adoption post, Shirley. Thanks for the link love! I totally LOVE her Carnitas. So easy to make and so tssty! I follow you on Facebook! Would love some help organizing my disorganized life! The Sweet Potato Chili sounds delicious! I totally need to win this book! LOL! As you saw by my post the other day about organization, I am really struggling & feel overwhelmed. I get caught up playing online when I should be working, though I am getting better at that part. I have tried so many things. I just need to find something & stick with it. Would really love to win as I am a new to parenting (I am an international host mom of 3 kids) cleaning and trying to organize my Mom’s house and clean up her hoarding and now realize that I too have waaaaaay to much stuff and I am always running out of time or something slips through the cracks and I need all the organizational help I can possibly get! I have made so many of her recipes but can only think of the fun picture of the crockpot peanut butter cup (or cupcakes?) right now. I receive gfe by e-mail. We could always use some organizational help. Sounds great! I WOULD LOVE TO RECEIVE A COPY OF THIS BOOK TO LEARN HOW TO USE MY CROCK POT BETTER. I WOULD ALSO LOVE TO LEARN HOW TO USE SIMPLE SPICES TOGETHER. Wow, what a review! Steph sounds like my idol! 😀 And I would love a copy of that book. I definitely need some daily tips on finding time for myself during the busy workdays! My kids would enjoy Stephanie’s Slow Cooker Mexican Black Beans! I will have to bring out my slow cooker again once school starts. I’m not sure how I found you (a link on my facebook??) but I’m so glad I did!! I desperately need help getting organized because I am battling advanced cancer and really struggle between symptoms of pain/sick/fatigue. My brain doesn’t work right, plus I have extreme food intolerances, and my therapy is a full time job. Need help for my battle:) Big time. I followed gfe on twitter. I subscribed to Totally Together Journal. I followed Steph on twitter. I follow all of you everywhere! I love the idea of that pizza soup. Will make changes for what I have, am thinking to make tomorrow! I would love to win this book. Keeping organized is a constant work in progress for me. I could always use improvement on the organization front! Thanks for the giveaway! I could use so much help to organize. I receive the updates via email. The daily, weekly, monthly, and seasonal checklists and tips sound like exactly what I need! I’m also trying to get on making meal plans and the book even covers that! I follow GFE on Reader, too! love Wendy’s comments-I don’t think there’s a higher compliment you can give! The pumpkin pie dip sounds incredible. and organization is probably my weakest spot…it’s not natural for me…yet. this book sounds soo good! I cant wait to try the carnitas! So little time, so much to know — thanks for making me a smarter guy, well, let me qualify, thanks for encouraging my continued education. Great info and links as usual! I follow gfe on fb! I have 3 young children and have Celiac. I need to be more organized so that I can continue to make healthy, GF, delicious meals-without running to the store 6 times or forgetting to pack a lunch. Things are a bit hectic here! More planning ahead would help! I would love this book:) thanks for all the great resources! I tried her recipe for 16 Bean Soup and it was good. I printed out her recipe for 5 Layer Brownie, but haven’t made it yet. It looks and sounds sooo good 🙂 I would love to have Stephanie’s new book because I need to get organized very badly before our school year starts back (we homeschool). I already joined A Year of Slow Cooking several months ago. I love that site! I shared the link on Facebook with my friends. I totally need the book!! And someone to helP implement the organizing!! I would love to win a copy of the book. I’ve lost faith in my ability to get/stay organized…Is this the miracle cure for which I have been waiting? Oh say it’s so!!!! Pick me! Pick ME! PLEASE, of course. OMG, I had to scroll for 5 minutes to get to the bottom of all these comments! Geez, this is a hot topic. 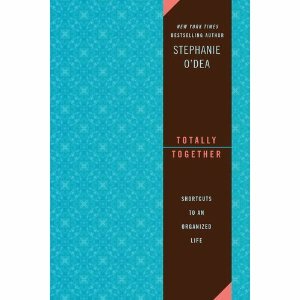 I need some help being “Totally Together” and with finding an “Organized Life.” =) And you’re right, Stephanie is awesome and someone who really does appear to be “totally together and organized.” Plus, her recipes are a testament to saving time and being organized. BTW, I had missed that black-eyed pea recipe when you posted it the first time around, glad you added it to this post. It looks wonderful and Shirley, that photo is awesome. It reminds me of the tips Penny De Los Santos gave at IFBC. Anyway, just thought I’d say hello to you and Steph! Wonderful book. I need some serious organizational tips. Must get this book ASAP! I also subscribe to A Year of Slow Cooking and love Stephanie! I guess I have come late to the party; never heard of her or her books, but sounds intriguing…on my way to subscribe to her 2 sites! Thanks for the info! Would love to read the book!!! Her carnitas recipe looks very good. I think I’ll try it with beef! Hey Shirley! I would love this cookbook just because Stephanie is so doggone FUNNY! I know the recipes are good, but I need to laugh more than anything these days…Also, do you have the link here to the two of you together? I thought that was the funniest thing I saw all year! I subscribe to gfe and Stephanie’s blog. Would love to win her book to help me to be more organized. I need all the help I can get! Wow that chicken sounds sweet indeed! I’ve used coke for braising beef ribs before, so I shouldn’t be suprised at lemon soda for chicken I guess- and I bet it tastes great too! We love her Poor Man chili over baked potatoes! Yummy! 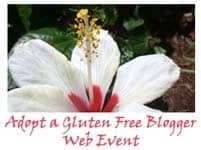 I was diagnosed with Celiac in July. At the same time I was told I have a major intolerance to several vegetables. No folks I am NOT making this up!!! All that to say I NEED THIS BOOK! Learning to live gluten free is hard enough (I really hate cooking) but now I also have to find (or fudge) recipes that don’t have a lot of these veggies and still get all the nutrients I need. The really funny thing is that before I was tested I became a vegan to help my stomach problems. Ironic, huh. I subscribed to Stephanie’s emails. I subscribe to GFE via email. 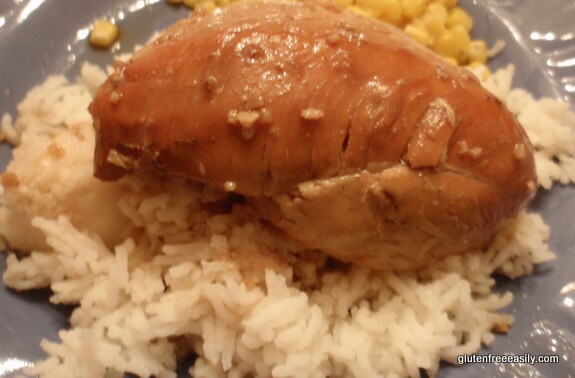 I ventured on Stephanie’s slow cooker blog and I was very intrigued by her recipes. I love to use my slow cooker and am always looking for new recipes, especially since I have Celiac and must eat gluten free. I would love to win Stephanie O’Dea’s new book because I need help with organization too. LOL! This girl needs all the help she can get!!! Thank you and God bless you all! Omgosh! I would totally benefit from this book! I just found out we have two additional teenagers (neices) coming to live with us for the school year. If ever I could use some common sense help with organization it is now! Four teens and a twenty…. Whee! 🙂 I have been checking out the slow cooker recipes and I think I may love this woman! I like Stephanie’s pulled pork recipe. I’d love to have a copy of her new book! i follow you on Facebook. I would love this book to add to my collections. All the new recipes are making my ROUTINE meals less boring! Would LOVE a copy of this. Her recipes are so good how could this be any different?? Well, I would love to win the journal for several reasons, 1, I never win anythimg, 2, it would be a daily reminder I am not alone, this journey, almost twenty years, ofd gluten free, is a bit lonely, lots of conversations in my head, 3rd, it sounds proactive,,,,,,,, planning, living, and glutenfree,,,,,, picki me! I would love to win the Totally Together Journal because I NEED to get it all together! I would love to see the checklists and have some organized way to get myself organized! And I subscribe to A Year of Slow Cooking!